Who Pays for Medical Expenses When a Patient Is Unable to Pay? If you don't have adequate medical insurance, medical bills can add up quickly. When a patient incurs medical expenses that he is unable to pay, the medical care provider will accept payment from virtually any source. Depending on the patient's circumstances, the medical care provider may receive payment from the government, from charity, through the collections process or not at all. If your income is beneath your state's published thresholds, you may qualify for Medicaid. Much like standard health insurance policies, Medicaid helps cover your medical costs. However, for most people, Medicaid will cover 100 percent of your bills, and you won't pay a monthly premium. All states offer Medicaid to families with low income, and many states have additional programs with higher income thresholds that will cover the medical expenses of children and pregnant women. People who cannot afford to pay their medical bills may also qualify for financial assistance programs through the hospital or doctor's office that provided the care. Many health care providers set aside funds for needy patients. To access these funds, you must typically complete an application and show proof of your need by providing documentation of your other debts, unemployment or low income. If you qualify, the health care provider may reduce your bills or eliminate them entirely. If your health care provider is unable to obtain payment from you or a third party, it will begin attempts to collect. The provider may send you notices in the mail, sell your account to a collections company or even file a lawsuit against you for the debt. If the provider wins the lawsuit, it may be able to use a court order to garnish your wages or remove money from your bank accounts. What Does Georgia Medicaid Cover? Can Being Late on a Cable Bill Hurt Your Credit? In some cases, a health care provider may be unable to collect from a patient, or the patient may discharge the debt through bankruptcy. 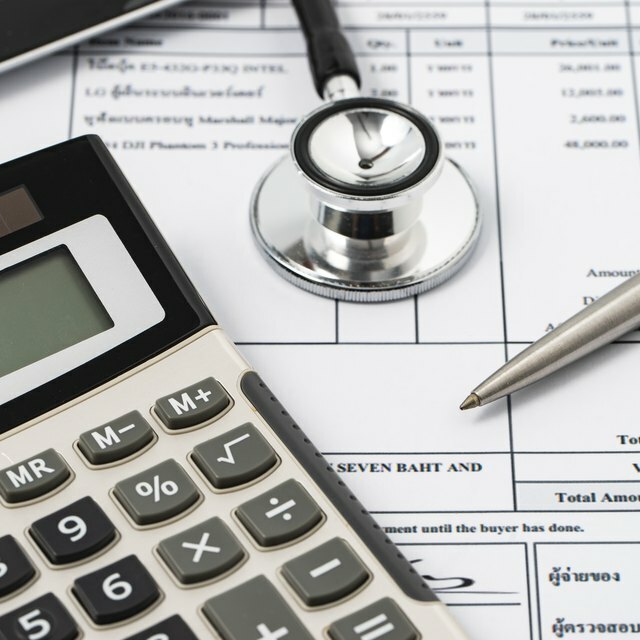 Because bankruptcy prevents both creditors and collection agencies from attempting to recover the debt, a patient's bankruptcy results in an automatic loss to the provider. To avoid such losses, many providers sell their delinquent accounts to collections agencies before even attempting to collect from the patient. In fact, according to MSN Money, some doctors and hospitals will turn your bill over to collections even if you are only a few days late. If you owe money to a health care provider and you know you can't pay, call the provider directly to discuss your options.